Written by: Rebecca Hillyard, Victoria University of Wellington. Our bees are in trouble, and the consequences reach farther than just your average beekeeper. Arguably the greatest threat to the planets natural ecosystem is the danger of honeybees becoming extinct and currently, honeybees around the globe are facing a phenomenon called Colony Collapse Disorder (CCD) 1,2. Because bees play an integral role in the environment, Colony Collapse Disorder and the plummeting populations of feral honeybees threatens the fate of agriculture, horticulture, and pollination systems in the natural world 1, 3. Honeybees have experienced the most dramatic decline in the United States, where the term CCD was originally used in 2006 1. Since then, Canada, Asia and Europe have also experienced extraordinary losses. In China, certain provenances must now pollinate pear trees by hand, as there aren’t enough insects to complete the task 1. Managed hives are a lifeline to temperate agriculture economies, due to the relatively low-cost services bees offer as natural pollinators 2. 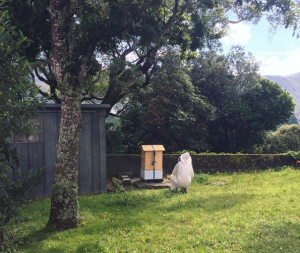 The New Zealand honeybee (Apis mellifera) is easily the most abundant, and willingly managed of all commercial pollinators that are accessible to pastoral and agricultural production 2. This places great importance on the well-being of managed and feral bees in the country. Scientists are trying to understand the mysterious phenomenon of CCD, a disorder where worker bees unexpectedly abandon their hives leaving behind their queen, brood and a relative abundance of food stores 2,4. The unexplained disappearance of adult worker bees puzzles beekeepers and scientists alike 5 and currently, there is no general consensus on the main cause of CCD 6. However, there are certain stressors that are likely linked to Colony Collapse Disorder and scientists are working hard to resolve these triggers. It is now recognised that cumulative stressors are impacting on honeybee health and the results is a global decline in honeybee populations 7. Everything from parasites and pathogens, environmental stressors such as beekeeping management practices and pesticides, are being investigated 7. While colony losses, in general, may be related to queen problems such as the death of a queen, losses due to Varroa mite (a serious threat to honeybees leaving hives weak or sickly 2,1), pesticides and other pathogens pose a significant risk to bee health, as well. Varroa mites are parasitic creatures that infest hives 8. The mites enter brood cells and attach themselves to the host bee. They leave open wounds which can become infected, as well as creating opportunities for other pathogens to enter. The mites deprive the bees of nutrition and can seriously disadvantage a hive leading into the winter months 1,7,8. Beekeepers, in an attempt to manage the Varroa mite, will use pesticides to protect against invasions. However, many beekeepers are concerned about the potentially lethal impact of pesticides and other agrochemicals (particularly neonicotinoids, an effective but exceptionally harmful form of insecticide 9) to their colonies 2. Exposure to neonicotinoid insecticides during the spring and summer months may lead to substantial stress, which can also contribute to hive loss during the winter 2,9. You can help the bees! Planting bee-friendly flowers and fruits in your garden, school or office will help to provide and maintain habitats for the bees. Baskett, P. (2012). Keeping the Bees. [online] New Zealand Geographic. Available at: https://www.nzgeo.com/stories/keeping-the-bees/ [Accessed 14 Mar. 2018]. Ministry Primary Industries (2015). Report on the 2015 New Zealand Colony Loss and Survival Survey. Wellington: Ministry Primary Industries, pp.4-7. Newstrom-Lloyd LE (2013). Pollination in New Zealand. In: Dymond JR, ed. Ecosystem services in New Zealand: Conditions and trends. Manaaki Whenua Press, Lincoln, New Zealand. The Sleuth Journal. (2013). 85% Of Earth’s Food Relies On Bees; And It’s In Danger. [online] Available at: https://www.thesleuthjournal.com/85-of-earths-food-relies-on-bees-and-its-in-danger/ [Accessed 14 Mar. 2018]. Dengler, R. (2017). Neonicotinoid pesticides are slowly killing bees. [online] PBS NewsHour. 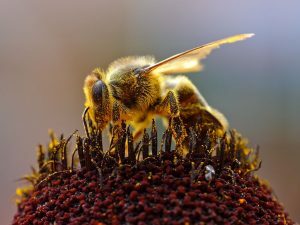 Available at: https://www.pbs.org/newshour/science/neonicotinoid-pesticides-slowly-killing-bees [Accessed 15 Mar. 2018].